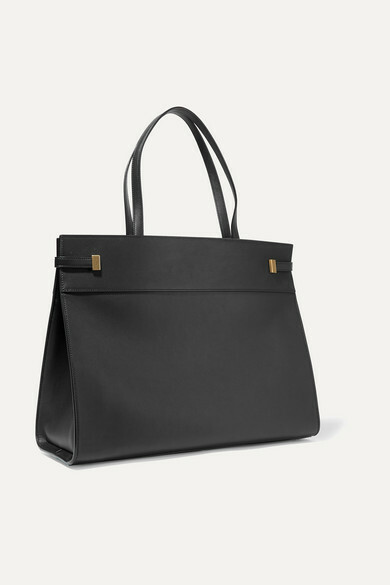 Saint Laurent's 'Manhattan' tote is perfect for the days when you're running from the gym to work and then an event afterwards. 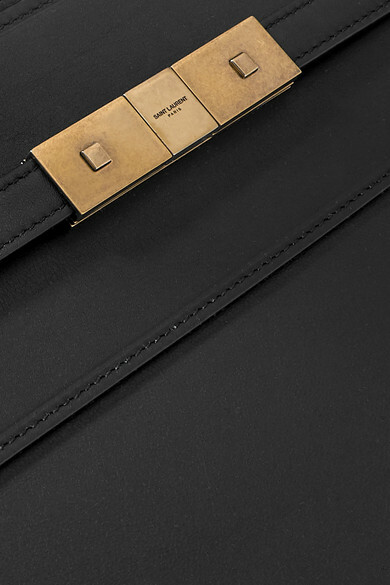 It has been made in Italy from smooth black leather and minimally decorated, save for the slender burnished gold buckle strap at the top and the tiny embossed logo. Thanks to the extra long top handles, it'll fit comfortably on the shoulder over chunky coats and sweaters. 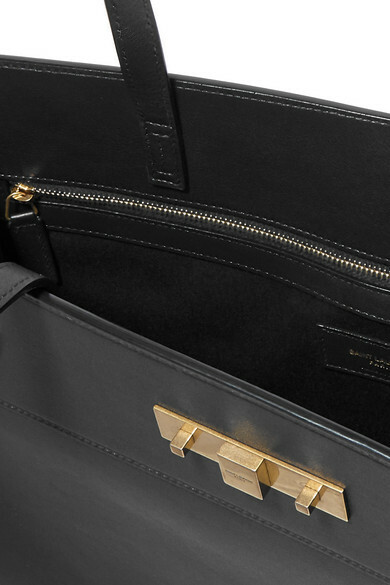 Stow a laptop, sneakers and daily essentials inside, placing any important documents inside the large zipped pocket. 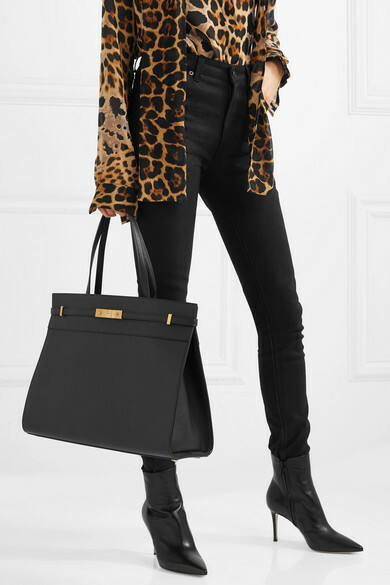 Shown here with: Saint Laurent Jeans, Ellery Earring, Paola Vilas Ring, Saint Laurent Earrings.